Apple Vacations desires to travel with you to various destinations in the world to soak in their beauty and magnificence! Whenever possible, let us discover and experience more of our world, the diversity of life and various cultures. “Sakura” or Cherry Blossom – Japan’s symbol of rebirth. It holds a very prominent position in Japanese Zen Culture. The Sakura Trees bloom from late february in Kyushu till as late as May in Hokkaido. As early as a thousand years ago, the sakura has always been a hit. During Sakura blooming period, the Japanese will held the ‘Hanami’ or “flower viewing party”, and the Sakura fans will enjoy by taking photos, singing, dancing, eating, joking around and in due course, make a wide range of friends! 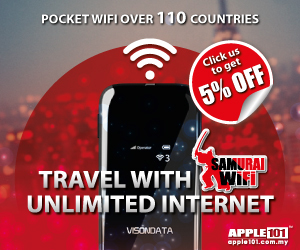 Lets follow Apple Vacations to the journey of Hanami. 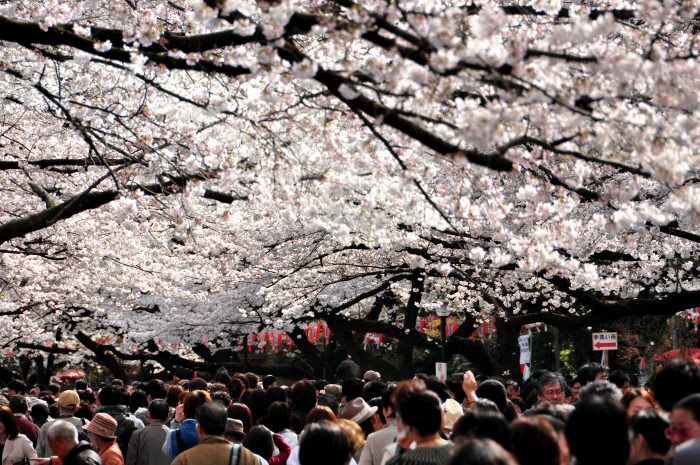 Only in Japan you can truly experience enjoy and appreciate the cherry blossom and its many customs and nuances! Summer in Hokkaido is a splurge of violet hues, and we are going to be mesmerized by the fragrant scents of Hokkaido! Besides, there is still quite a large temperature difference between day and night. It could be 25oC in the day and below 20oC in the night. In a chilly summer night like this, what’s better than a dip in the natural hot spring pool for a cleansing of body and soul? Hokkaido is also the best place for the freshest crab sashimi, delectable scallops and so on…. What else is missing? Well, what about a shopping spree? 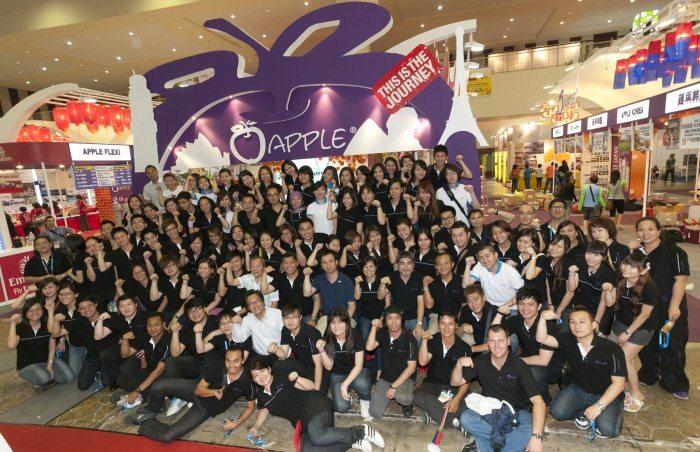 Apple Vacations recommends the Factory Outlet that stocks Japanese and international big brands at unbelievable prices. Seasonal Japan has always been everyone’s dream destination, other destinations namely Kyushu, Tokyo, Osaka, Kyoto or Japan Alps will definately mesmerized you. 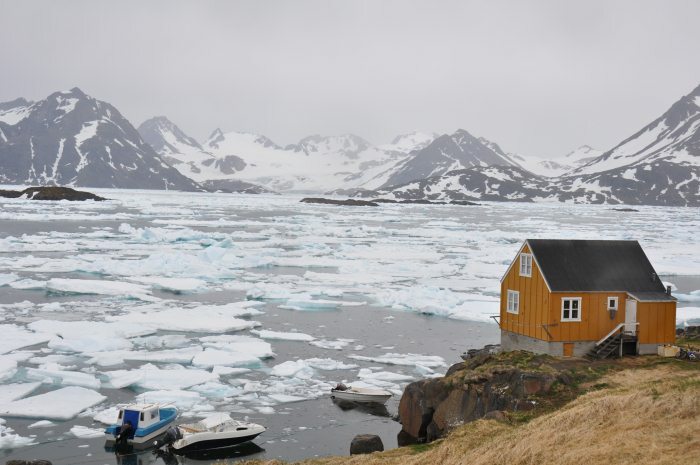 Where can you travel during summer time with a temperature of 25-40 ᵒC? Places that are not-to-be-missed include China (Xi An, Beijing, Shanghai, Zhangjiajie, Huangshan, Silk Road, etc. ), Taiwan and Korea. 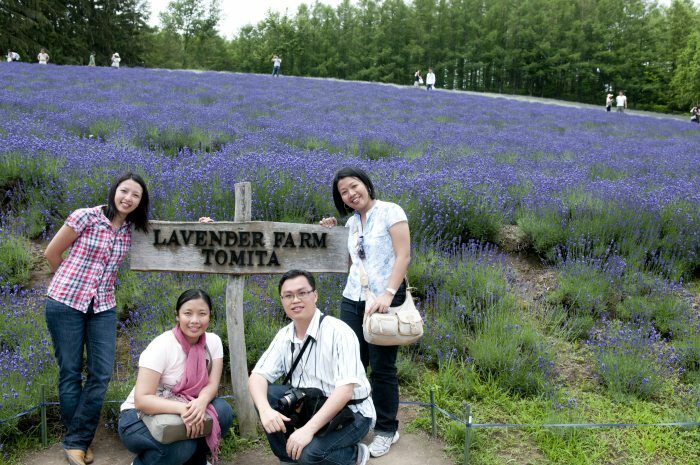 Millions of visitors head off to Hokkaido just for a dose of this violet colour. Western countries are steeped in unique identities, cultures, histories and sceneries. Which of them will your next destination be? 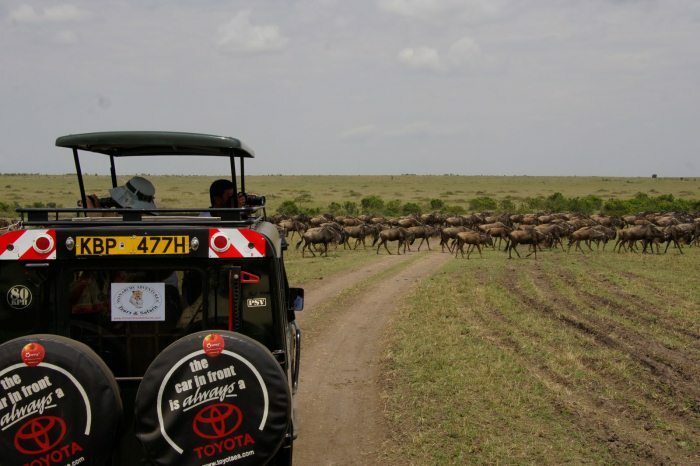 Travel with Apple Vacations @2012 for A fascinating phenomenon in the natural world to Kenya. Kenya’s Great Migration — experience a huge density and diversity of wildlife, is when the annual migration of millions of wildebeest, zebra and gnu’s descend on the Mara plains with predators close behind! In Kenya, one can experience the purported most expensive hot air balloon ride in the world. From high above the ground, one could have a clear and expansive view of the spectacle below – carnivorous animals chasing their prey and millions of animals roaming freely upon the vast grassland looking for food, etc. This ride truly provides a magnificent, one-in-a-lifetime experience! Besides, Apple Vacations also offers other meticulously-designed tours to Scandinavia, Central Europe, Eastern Europe, Iceland and Greenland, South Africa, India, Turkey, as well as Spain, Portugal, Morocco etc. If you want to travel in free and easy style,Let the Apple Flexi professional team enlightens you and to provide you professional advice with self tour itinerary. 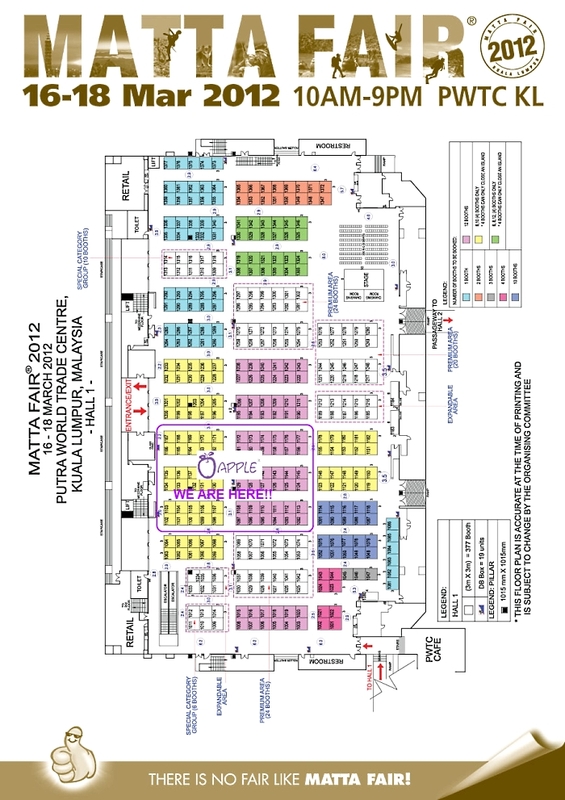 During the MATTA Fair, visitors can obtain various promotions by registering at Hall 1 or Apple Vacations and Conventions Sdn. Bhd in House sales. 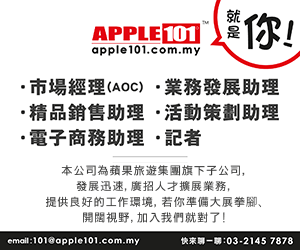 Offerings include up to RM1600 worth of discounts (per registered couple). For more information, call 03-2141 8250 (Apple Vacations), 03-2143 3939 (Apple West), 03-2143 8877 (Apple Flexi) or log on to www.appleholiday.com. The Applenian are looking forward to meeting you!